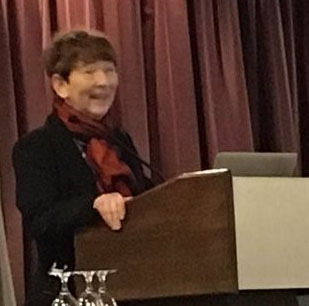 Margaret Burnett gives a keynote address at FSE 2016. 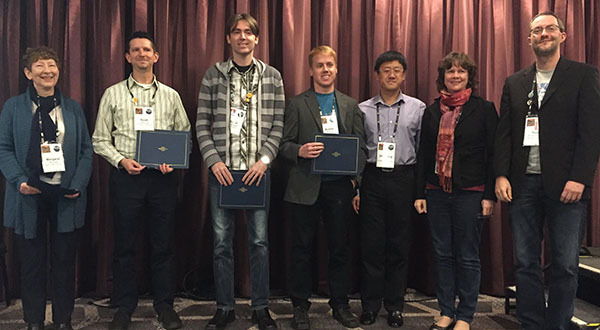 Oregon State University faculty and students were well represented at the premiere software engineering conference, ACM SIGSOFT International Symposium on the Foundations of Software Engineering (FSE 2016) in Seattle November 13-18, 2016. 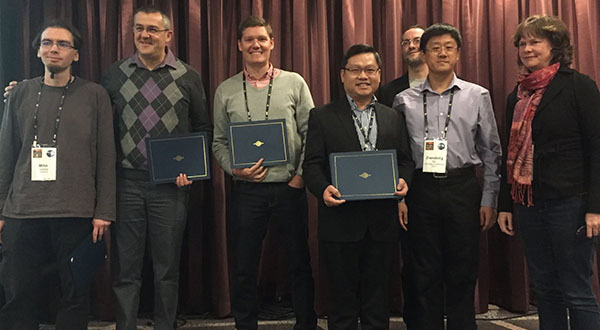 Distinguished Paper Award, FSE 2016. 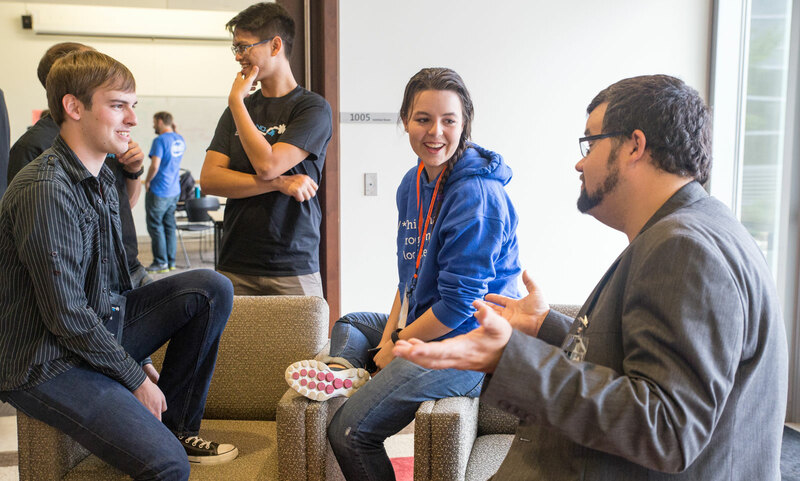 Pictured (left to right): Mihai Codoban (OSU alumus, now at Microsoft), Danny Dig (OSU), Michael Hilton (OSU) , Tien Nguyen (UT Dallas.) and three conference organizers. Abstract: Learning and remembering how to use APIs is difficult. While code- completion tools can recommend API methods, browsing a long list of API method names and their documentation is tedious. Moreover, users can easily be overwhelmed with too much information. We present a novel API recommendation approach that taps into the predictive power of repetitive code changes to provide relevant API recommendations for developers. Our approach and tool, APIREC, is based on statistical learning from fine-grained code changes and from the context in which those changes were made. Our empirical evaluation shows that APIREC correctly recommends an API call in the first position 59% of the time, and it recommends the correct API call in the top 5 positions 77% of the time. This is a significant improvement over the state-of-the-art approaches by 30-160% for top-1 accuracy, and 10-30% for top-5 accuracy, respectively. Our result shows that APIREC performs well even with a one-time, minimal training dataset of 50 publicly available projects. Distinguished Paper Award, FSE 2016. Pictured (left to right) Margaret Burnett (OSU), Scott Fleming (Univ. Memphis, former OSU postdoc), David Piorkowski (OSU alum, now at IBM Research), Austin Henley (Univ. Memphis), and three conference organizers. Abstract: Empirical studies have revealed that software developers spend 35%–50% of their time navigating through source code during development activities, yet fundamental questions remain: Are these percentages too high, or simply inherent in the nature of software development? Are there factors that somehow determine a lower bound on how effectively developers can navigate a given information space? Answering questions like these requires a theory that captures the core of developers’ navigation decisions. Therefore, we use the central proposition of Information Foraging Theory to investigate developers’ ability to predict the value and cost of their navigation decisions. Our results showed that over 50% of developers’ navigation choices produced less value than they had predicted and nearly 40% cost more than they had predicted. We used those results to guide a literature analysis, to investigate the extent to which these challenges are met by current research efforts, revealing a new area of inquiry with a rich and crosscutting set of research challenges and open problems. What is a master’s degree in computer science good for? Many people ask me whether they should pursue graduate school in computer science. Answering this question requires explaining what graduate school is good for. For the Ph.D., the answer is relatively simple. A Ph.D. primarily focuses on training students to do research. It also provides other skills, but that is the main focus. As such, it is appropriate and necessary training for anyone who wants to become a tenured professor. For the master’s degree, the answer deserves more discussion. It is also an important discussion because almost 85% of all graduate degrees granted in computer science were master’s degrees (according to the 2015 Taulbee Survey). To avoid relying on just my own opinions, I asked six students who have graduated from the master’s program at Oregon State University about what their training had accomplished, what aspects of the program were most valuable, and whether the value justified the cost overall. My former students explained that earning a master’s degree in computer science expanded four areas of capabilities. Graduate school developed these former students’ ability to master material efficiently. One student explained that his employer valued his “ability to quickly grasp existing knowledge on some relatively advanced topics.” Others also commented on their enhanced ability to learn new frameworks, languages, concepts, and tools. Three aspects of graduate school came up as being of most value. Does the value exceed the cost? 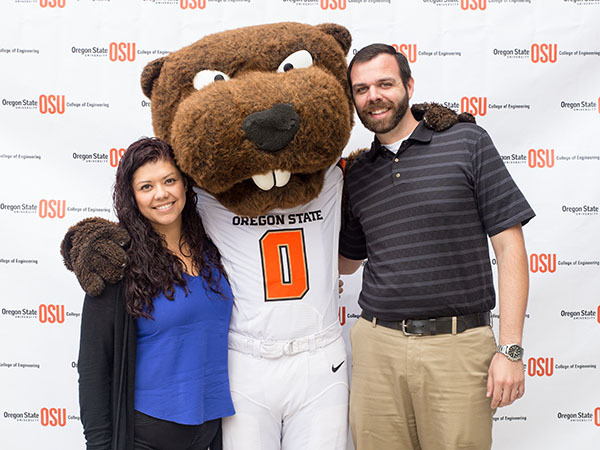 The five students reported to me that they incurred between $0 and $20,000 in total out-of-pocket costs, due to the fact that they received assistantships for some or all of their terms at Oregon State University. So, in the end, was obtaining a master’s degree worth it? All confirmed that the value exceeded the cost. One pointed out that people with master’s degrees often have higher salaries than those with bachelor’s. The difference appears to be approximately $7,000 per year right now, varying somewhat based on job title and location (according to payscale.com data for bachelor’s and master’s degrees). The payoff might not be immediate, however. For example, one student noted that he had to switch jobs at least once after graduating in order to obtain a position that made use of his increased skills and paid a higher salary. Bottom line: What is a master’s degree in computer science good for? My former students identified four areas of enhanced capability that included soft and technical skills. They obtained these largely through industry-relevant experiences, projects, and mentorship from committed faculty. They believed their employers noticed and valued their improved capabilities, which translated into a higher-paying career. I hope that this information will be useful to you or to colleagues that might be considering whether to get a graduate degree. We will use this and other feedback to continue enhancing our own program in order to better meet the needs of our students. If you would like to contact me and ask questions, please feel free to send me a LinkedIn invitation. Helena Bales poses with her lab group at in front of the NASA booth at the 30th Annual Small Satellite Conference. From left to right, Hollis Neel, Graham Grable, Megan Le Corre, Roger Hunter, David Cotten, Khoa Ngo, Paige Copenhaver, Nirav Ilango, Helena Bales, Caleb Adams. Paige and Caleb hold an engineering model of a cubesat launched by NASA. I had an amazing experience this summer at the University of Georgia working in the Small Satellite Research Lab. The lab was founded by undergraduate students, myself included, partnering with professors, NASA, and the U.S. Air Force. 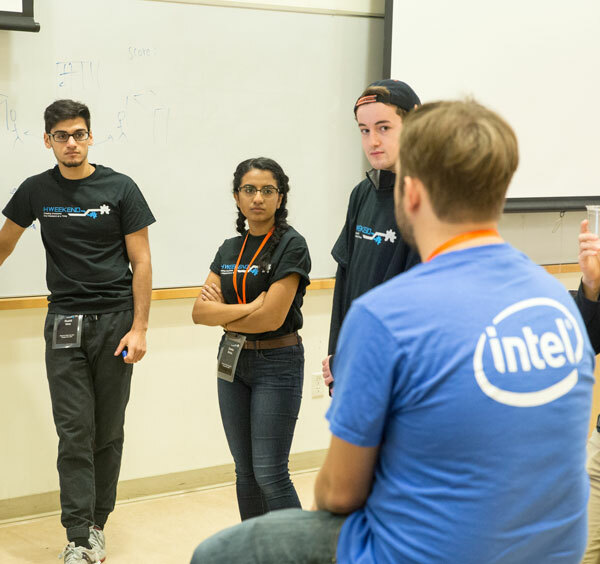 Space seems impossibly far away and hard to get to, but with the increased popularity and strength of the small satellite community, it is now easier than ever to reach, even for self-funded, undergraduate engineering students. 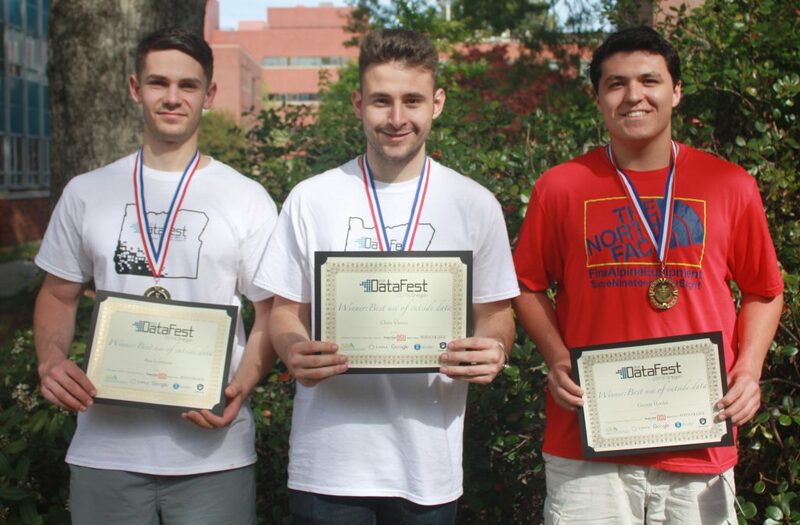 We started as a small group of students and created a crowdfunding campaign with the goal of launching a small satellite into orbit. Most of the students on the project were at the University of Georgia (UGA). We had reached out to faculty members in the UGA geography department to see if they wanted a science payload to fly on our CubeSat. CubeSats are small satellites of a specific size. For example, a “1U” CubeSat is 10 cm wide, 10 cm deep, and 11 cm tall. The standard size has aided the commercialization of space. 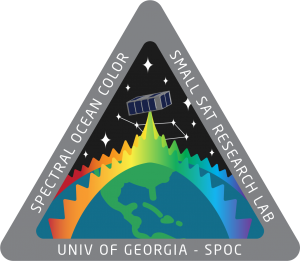 The mission patch for the Small Satellite that will perform multi-spectral analyses of the Georgia coast. Currently, we have two CubeSat projects and about 20 members. The CubeSats launch off the International Space Station. One will look at Earth in order to track sediment plumes, algal blooms, and chemical runoff around Georgia. The other will create 3D maps of large geographic features such as mountains. We couldn’t have dreamed that this project would end up where it is now — a lab run by undergraduate students with two fully funded satellite projects. My role in the lab is to develop the algorithms that we need to accomplish our mission objectives. That mostly involves adapting existing algorithms for use on orbit. Running software on orbit has different limitations than on the ground, so the software needs to be adjusted accordingly. For example, when dealing with space, engineers must take account of power shortages, overheating, and time limitations that might compromise transmission of data. Fortunately, we know these constraints ahead of time. With careful planning and testing, we can insure that our code will run on orbit. The process of developing cube satellites posed both unique opportunities and struggles. As undergrads, trying to figure out how to build two satellites, we are all learning together. And the experience of working at the Small Satellite Research Lab is incomparable to most undergraduate experiences, because of the nature of the project and the close relationships developed through solving problems in space. Balancing the demands of the project takes a close-knit group of scientists and engineers and communication between group members. Through the experience we have built a productive lab and became close friends. 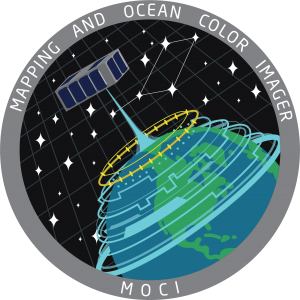 The mission patch for the Small Satellite that will create 3D point clouds of large geographic features. 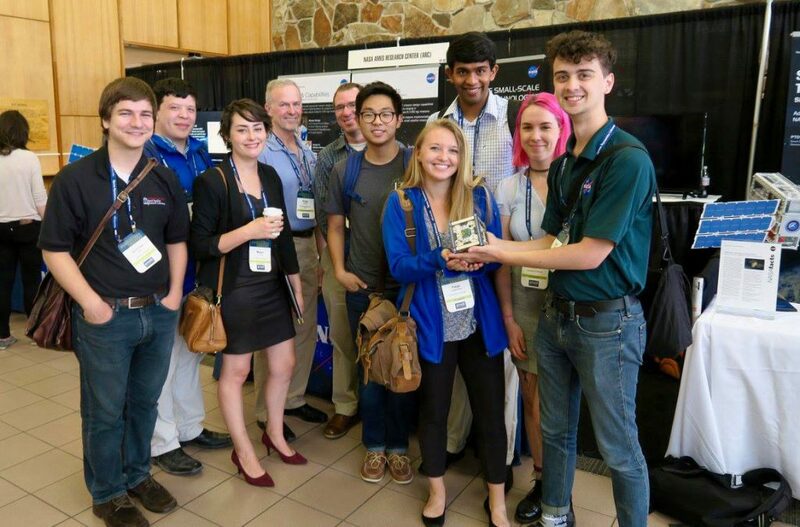 Eight of our members (myself included) received scholarships to attend the Small Satellite Conference in Logan, Utah. At that conference we had the opportunity to attend six days of talks about every aspect of small satellite missions. We all learned more than we could have imagined. We were also able to network with industry professionals from organizations like NASA and SpaceX. That week opened our eyes to issues that we hadn’t thought about yet, and introduced us to new satellite hardware vendors. When we returned from the conference, we were equipped to onboard new lab members, finalize our payloads, design our ground station, and plan outreach events. Despite ongoing encouragement and success, we continue to struggle with getting the funding that we need to make a lab that can support multiple space missions. For example, using space-grade hardware requires a cleanroom in order to assemble our satellite to meet the standards set by NASA and the U.S. Air Force, who have each funded our missions. The funding we’ve received for the projects assumes that there is already a lab that is outfitted with all the supplies necessary to build and test a CubeSat, so we face the additional hurdle of establishing our lab. I’m proud to be part of a group that welcomes challenges instead taking the easy route — an important characteristic for the next generation of scientists and engineers solving problem in the limitless reaches of space. 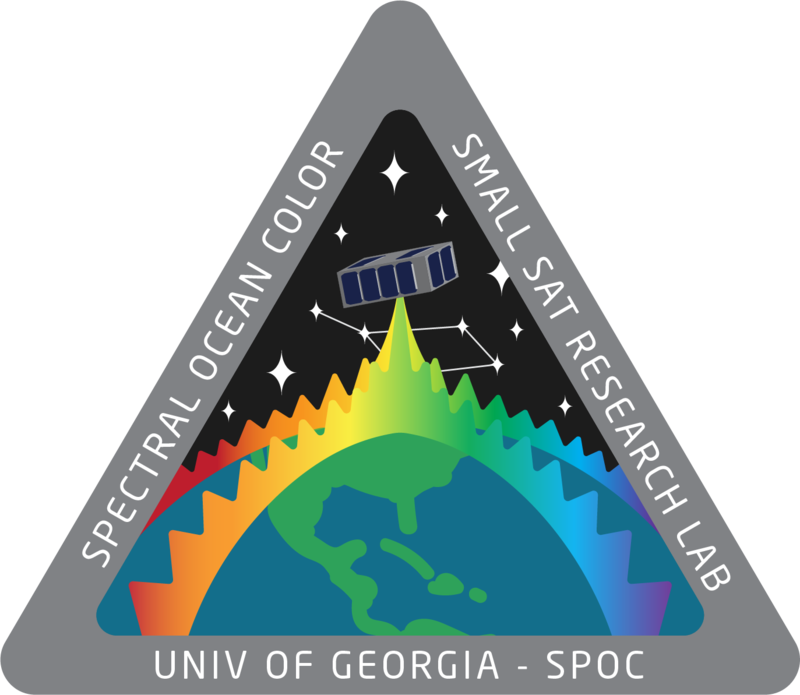 With creativity and persistence, the University of Georgia Small Satellite Research Lab is pushing itself and reaching new heights. Helena Bales grew up in Portland and is a senior in computer science. In addition to her ongoing work at the UGA Small Satellite Research Lab, she works on campus as a software developer at the Valley Library. She spent last summer at NASA’s Johnson Space Center developing applications for the daily operation of the International Space Station. Her internships have fueled her interest in space and she plans to pursue a career in the aerospace industry after graduation. Vedanth Narayanan, a graduate student in computer science, did a summer internship with Tripwire. This summer I had a great experience as in intern at Tripwire, a software company based in Portland that develops security solutions. What impressed me the most about Tripwire was how everyone there made me feel comfortable and part of the company. I remember getting coffee in the break room the first week, and multiple people stopped by to introduce themselves and ask about me. I got the sense of belonging fairly quickly. It empowered me. Although we only made small talk, I knew I could ask them for help without hesitation. The fact that people are social at Tripwire really goes hand-in-hand with the work environment. There are multiple teams that develop and test the products. Cross-team collaboration at Tripwire is highly valued, because it’s crucial that different pieces of the puzzle are properly linked. For that reason, having the right social dynamics is really helpful. My team gave me a small list of potential projects that I could choose to work on. I got a week to look over the projects I was interested in and choose something I found to be valuable. I really appreciated this because it didn’t box me in. The first month was the hardest because I was trying to understand the work, the company and the culture. My team gave me the freedom to spend time on intricate problems, and when I ran into anything unusual they were always there to help me through it. They would also point me to who would be able to help me from another team. One other thing I noticed about Tripwire (that I had not come across working at other companies) was how flat the organizational structure was. Not only was I in touch with my manager on a daily basis, but also my product owner, and even other engineering managers. I was absolutely delighted and surprised to see our CEO socializing and having a beer at a company event. Portland’s tech culture is said to be unique, and I got a firsthand experience in it. Like you’d expect, going out to lunch was always a thrill. There were many food carts nearby, and the choices seemed unlimited. There was also a nearby Farmer’s market that set up shop every Thursday. These turned out to be a good place to socialize and it gave me a chance to meet people from other tech companies. I loved my experience at Tripwire. Like I’d expect from any internship, not only did I learn about the company, but I also learned about myself. I was naïve when I thought the most important thing when accepting a job was the work and the people. I’ve come to learn that the work environment is just as important. I want find a job where the environment is conducive to learning, and positively supports new ideas. I am grateful to have had the chance to work there and get to know the people at Tripwire. When it’s time for me to find a job, I can confidently say Tripwire is on my list. 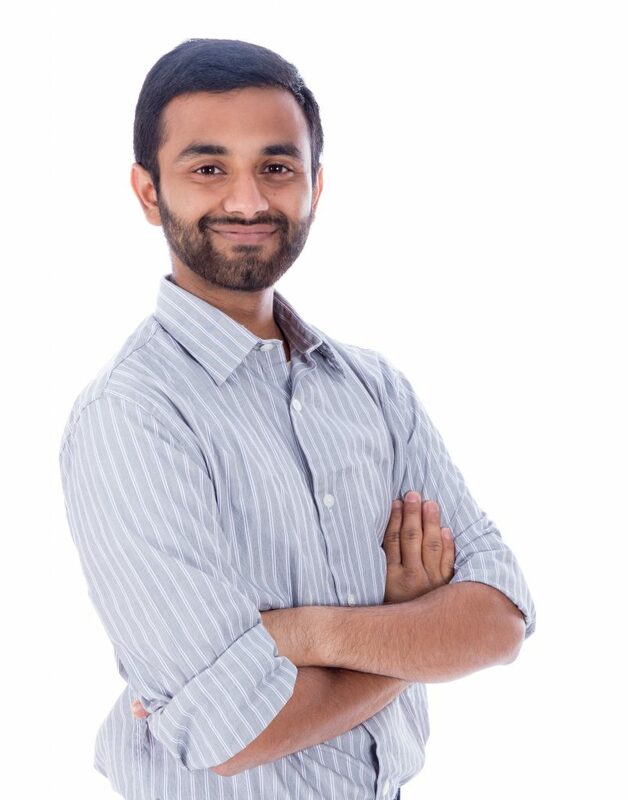 Author bio: Vedanth Narayanan (who goes by Vee) graduated from Oregon State in 2015 with a bachelor’s degree in computer science. He is currently working to get his master’s in computer science with an option in security. 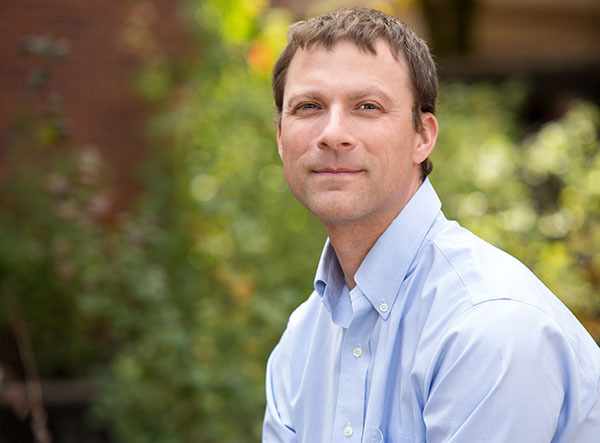 He previously worked for McAfee (now Intel Security), Intel, and OSU’s Center for Applied Systems and Software (CASS). He is very intrigued by the security landscape and software engineering. While he loves being in front of his computer, he is also grateful for the time away from it. During these times you will find him running, hiking, playing ultimate Frisbee or volleyball, at the Oregon coast, or cooking dinner with jazz playing in the background. An avid photographer, his camera is almost always less than ten feet from him. Although his comfort lies in landscape photography, he has recently taken an interest in portraits and lifestyle. Carl Beery shows the project that earned him four achievements in the Mastery Challenge. 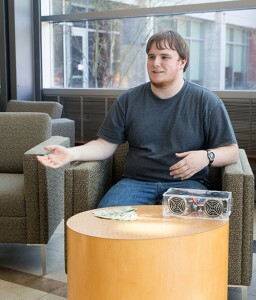 Carl Beery, a junior in electrical and computer engineering, took first place and a cash prize of $150 in the Mastery Challenge for winter term. The Mastery Challenge is a new extracurricular program hosted by the School of Electrical Engineering and Computer Science at Oregon State University to provide more hands-on learning opportunities for all students, regardless of major. The program is based on a concept called gamification which uses elements of game playing, such as leader boards and badges, to motivate participants to gain new abilities such as 3D modeling and Python programming. Beery had already been working on projects on his own, but he realized the Mastery Challenge would give him a better framework for learning new abilities and more motivation for completing tasks. To participate, students login to the Mastery Challenge website with their university account to see the list of challenges for which they can earn achievements. In winter term two cash prizes were awarded — one for the highest number of achievements, and a second was awarded randomly to anyone earning at least one achievement. Beery had completed eight achievements and was tied for first place when he realized a project he had been working on for class — an audio amplifier — would qualify him for four more achievements. He simply videotaped his class presentation and uploaded it to the Mastery Challenge website as proof of completion. “The experience Carl had was what I was hoping for — a fun way to gain new skills that will benefit him in the future as he enters the job market,” says Don Heer, creator of the Mastery Challenge program and instructor of electrical and computer engineering in the College of Engineering. Mike Rosulek, assistant professor of computer science, was selected for a Google Research Award for a grant to advance methods of customer privacy. 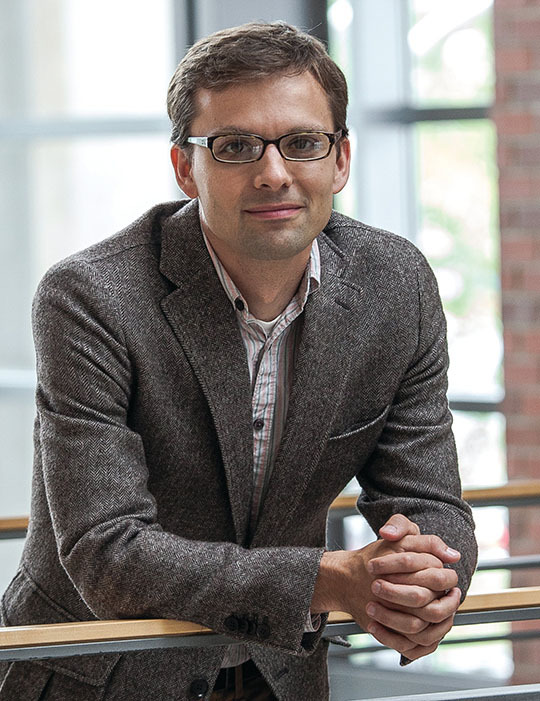 The award will allow Rosulek to hire a graduate student to work on the project, and give them the opportunity to collaborate with Google researchers and engineers. “I have lots of ideas in this space, and it will allow me and a student to dive in head first exploring them,” Rosulek says. Companies are looking for inexpensive ways to share information with each other without violating the privacy of their customers. For example, two companies may want to find out which customers they have in common. A tool from cryptology called private set intersection allows two parties to find items in common on two separate lists without revealing anything else from those lists. One part of Rosulek’s research seeks to strengthen the security of private set intersection tools while keeping the costs reasonable so that companies are more likely to adopt good practices for keeping their customer’s information secure. Another part of the project will work on flexible (or “fuzzy”) matching of items on lists such as addresses. Names and street addresses may have differences in spelling, so looking for exact matches between two sets can be too restrictive. Rosulek’s research will seek to modify current techniques to allow for “close enough” matches. “I’m excited to see that Google is interested in these advanced cryptographic tools. I’m excited that the techniques can be used to protect sensitive user information. And I’m excited about the new technical and mathematical challenges on the roadmap,” Rosulek says.